A linked list of chilli websites. Andy and Ange Longmore are producers of a high-quality range of chilli sauces, pickles, and chutneys, ranging from the mildest bite to the hottest kick. Any Chilli enthusiast will not be disappointed. 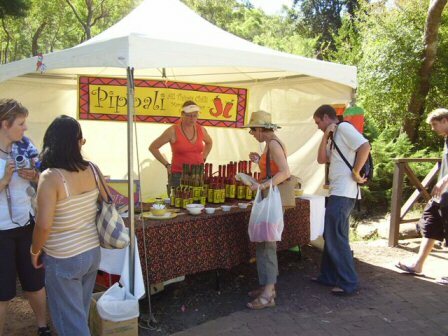 Pippali strives to use 100% locally grown produce. 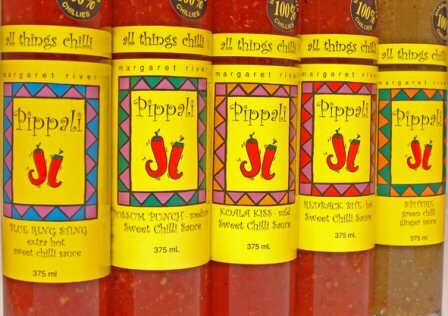 Pippali - All Things Chilli Established 1996 Margaret River WA. 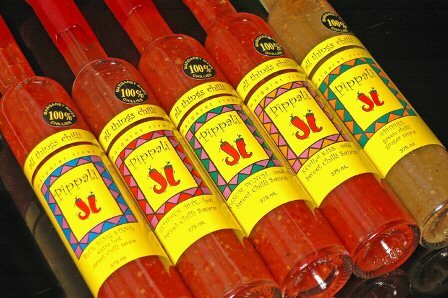 Pippali All Things Chilli offers a selection of quality sauces and condiments from the mildest bite to the hottest kick. Being a handmade product, a lot of time, patience and preparation goes into each bottle. 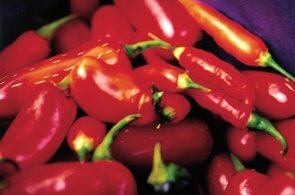 The many varieties of chillies, herbs and spices used are sourced from all regions of Western Australia, mainly the South West, with local Margaret River growers supplying the bulk of the chillies during the main season. 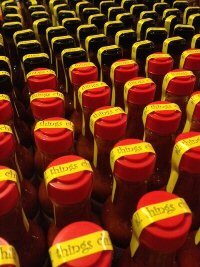 Included in our range of products are the sweet chilli sauces. A selection of mild, medium, hot and extra hot. To come up with individual names to distinguish each sauce, we decided on an Australian theme, using animals and icons, predominantly West Australian. One for the Purist. 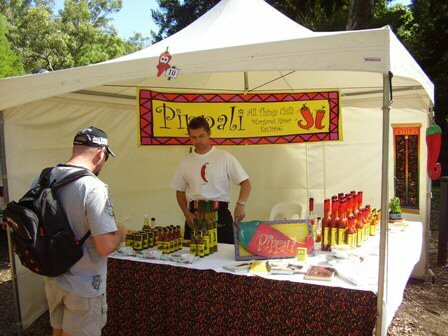 The "Ragin Ranga" took the Bronze Award for the Hottest Product at the 2014 Araluen Chilli Festival. A blend of Australian grown Habaneros and Margaret River grown super hot's including the Trinidad Scorpion "Moruga" chilli, Trinidad Scorpion "Butch T" and the 7 Pot Red Chilli. "The Ragin Ranga" is full of flavour and has one hell of a bite!!!! Koala Kiss – mild. A subtle blend of red chillies, sweet bell peppers, ginger, garlic and a selection of spices, together with premium sugar and apple cider vinegar. Add to your favourite dish or simply as a dipping sauce. Possum Punch – medium. With the introduction of habanero chilli comes added heat, enough to raise a light sweat. Great with rice, seafood or chicken. Redback Bite – hot but not overkill. Loaded with habaneros and hot red chillies, this sauce will liven up any party. Spice up your stir fry, or just enjoy the heat. Blue Ring Sting – extra hot. Now we’re talking! 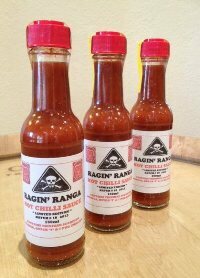 A pure burst of habaneros and pepper sure to please any hot chilli enthusiast who still likes a bit of sweetness. Spitfire - medium to hot. A blend of green chillies, ginger, garlic, spices and apple cider vinegar. This sauce is a must for Asian inspired dishes. Green Chilli Chutney - medium. A sweet and sticky medium spiced rustic chutney made with green jalapenos ,green chilli, onion, spices and apple cider vinegar. A fantastic condiment or addition to curries, rice, fresh fish or your favourite cheese.